For as long as I can remember, I’ve always taken a deep interest in the latest trends. And that means being an early adopter before something becomes mainstream. Of course, there will always be wardrobe staples we can all turn to, but something about dressing spontaneously has always intrigued me. 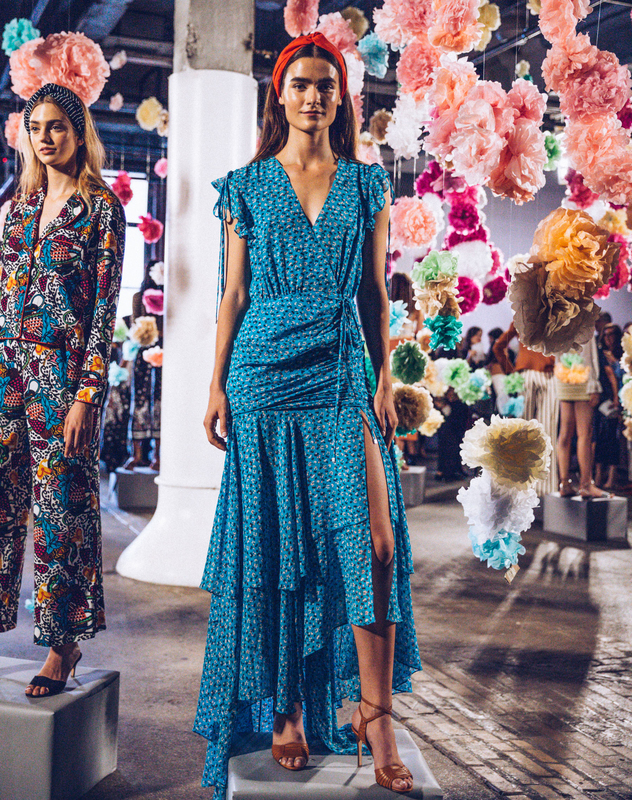 I know many of you can agree, so I’m sharing five Spring fashion trends you should hop on now before everyone else does. It should be no surprise that many of these snaps came from fashion week last September, but let it serve as a reminder that to survive in fashion, you must be forward looking. Skirts have seemingly been off the radar for a while now, but they’ve found their way back with diagonal cuts and asymmetry. This Spring, you can expect skirts to be anything but traditional and boring. It’s also the perfect piece to try if you’ve found yourself fatigued by the same checkered trousers and distressed jeans. Look for fun details like ruffles, wraps, and ties, and wear it with some edgy lace up booties or your favorite sneakers. I have to admit I’m obsessing over this piece far more than the old high-low style. I’ve featured sequins on the blog so many times now and I’m not even sorry because it’s for good reason. This trend is going to be HUGE for Spring and Summer! Whether you’re decked out in shiny pieces from head to toe or showing a flash of sparkle, let this glittery detailprevail. 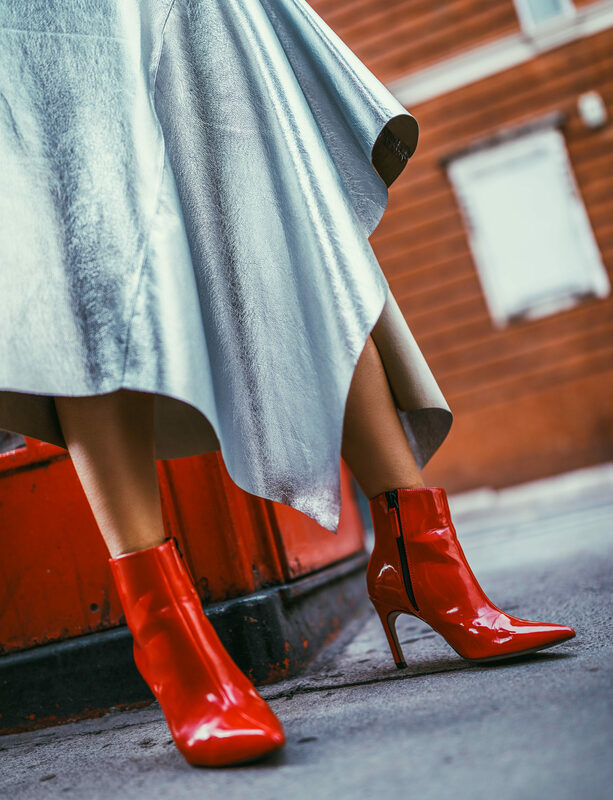 Winter might still feel too bleak for such a loud trend, but you can get started on it before everyone else by donning a sequin pump or bootie. You can also carry aglittery mini with basic jeans and sweatshirt for a wearable, daytime look. From cold shoulder cuts to going off the shoulders, we’re now seeing one-shoulder necklines. I’m loving this seasons’s edgier iterations of twists around the neck cascading down to one arm. Luckily, both luxury and fast-fashion brands are already on top of this trend so you can go right on and snag a one shoulder knit for the chillier days ahead. One shoulder dresses are also great for going out! Spring and summer will be getting super loud. I have absolutely no reservations about this trend as it’s something I already live by (see here). However, I expect this will be new for most people. You can jump on this trend while it’s still new by wearing some bright colored trousers with a clashing bold-colored sweater as I did below. And in honor of Valentine’s Day coming soon, don’t shy from mixing pinkand red. With the last few years being dominated by lace-up details and corset belts, I’m not surprised to see the return of ruching this Spring. We’ve been all about that cinch – and now we can just forgo the bulk. I love the modern take on this trend because it actually looks comfortable to wear. It’s a style that’s slinky, feminine, and shows off all your curves. Get your start now with a pencil skirt or body con dress with ruche detailing that you can pair with heavier knits and fur coats. What Spring fashion trends have you got started on?